The Delaware resident was diagnosed with hepatitis C more than two years ago, but she doesn’t qualify yet for the Medicaid program’s criteria for treatment with a new class of highly effective but pricey drugs. The recent approval of a less expensive drug that generally cures hepatitis C in just eight weeks may make it easier for more insurers and correctional facilities to expand treatment. 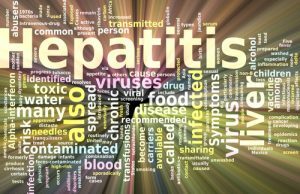 The drug, Mavyret, is the first to be approved by the Food and Drug Administration that can cure all six genetic types of hepatitis C in about two months in patients who haven’t previously been treated. Other approved drugs generally require 12 weeks to treat the disease and often aren’t effective for all types of hepatitis C.